Jason Linett strives to bring the latest, most reliable, and most effective hypnotic techniques and methods to our clients in the Washington DC Metro area. You receive modern and professional hypnotic services in our comfortable Alexandria Hypnosis office. The focus is to help you achieve their goals by overcoming their struggles. 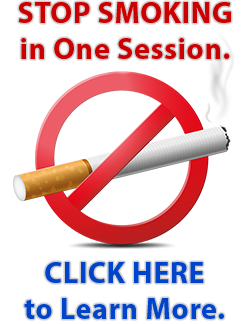 Are you looking for stop smoking hypnosis? What about weight loss hypnosis? Do you need hypnosis for anxiety? You will meet directly with Jason Linett. Experience a state-of-the-art approach to hypnotism that is designed to give you the most effective process in the most efficient use of your time. Getting started is easy. You may call direct to (703) 341-6655, or Click here to schedule your free 15-minute phone strategy session. Winner of the 2017 “Hypnotist of the Year” award at the Mid-America Hypnosis Conference. A Certified Instructor and Practitioner of the Virtual Gastric Band weight loss hypnosis protocol. The program’s pioneer, Sheila Granger, personally asked Jason to train her protocol. Jason is also a nationally-recognized and respected speaker, performing a unique motivational program designed to enhance business performance. Delivered the Keynote Address at the nearly every major North American Hypnosis Conference in 2017. Is the President of the Northern Virginia Hypnosis chapter of the National Guild of Hypnotists. Has been a featured guest on various radio and television programs, including appearances on CNN, FOX, CBS, and The Travel Channel. Has been the subject of more than four-dozen newspaper articles. Creator of Hypnotic Business Systems and Hypnotic Workers, two leading training programs for hypnotists worldwide. Was a featured presenter at President Obama’s inaugural ball. …has hypnotized over 30,000 people, and has never once made anyone bark like a dog or cluck like a chicken! at the 2017 HypnoThoughts LIVE convention in Las Vegas. Jason Linett is a leader in the hypnosis profession. In addition to live Hypnosis Training and Certification courses in the Washington, DC Metro area, he has traveled to train courses in Canada and the United Kingdom. A pioneer of online education, his students interact with his material and replicate his successful strategies in more than 50 countries worldwide. 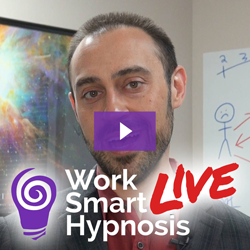 Jason is a true “Hypnotic Worker.” As he continues to educate others, he still maintains a busy schedule helping people just like you. Jason Linett is the host of the Work Smart Hypnosis Podcast. This program has been downloaded more than 250,000 times worldwide. It’s a trusted resource in the hypnotic profession sharing techniques for personal change, strategies to grow a successful hypnosis business, and interviews with top professionals. Get started now. Click here to schedule your free 15-minute phone strategy session.